The Parents in Partnership with Educators (PIPE) program is offered through M.I. Understanding. M.I. Understanding is a communication tool developed by Paula Jesty with an aim on using storytelling to start important conversations about mental health. Paula has created a range of educational materials using puppets and print format to share information in an accessible way. The PIPE program was developed as an individualized communication intervention to prepare and support families who are navigating the IEP process with a child who has mental health challenges. The goal of the program is to help parents become positive advocates for their child by strengthening their relationship with the school, increasing their understanding of their child’s needs, and building their confidence as advocates and important members of the school team. The Centre for School Mental Health (CSMH) is working with Paula to develop a preliminary evaluation of the PIPE program. Internal funding from the Faculty of Education has been obtained to conduct this work. Our research questions include; (1) What are families looking for/expecting when they enrol in the PIPE program? (2) What do families gain from their involvement and is there anything negative about their experience? (3) Do families continue to utilize the strategies they are taught following the intervention and do they feel it has made a difference in their ability to work with the school? Results of this study will inform possible program changes. 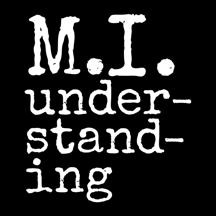 For more information on M.I. Understanding, please visit the M.I. Understanding website.